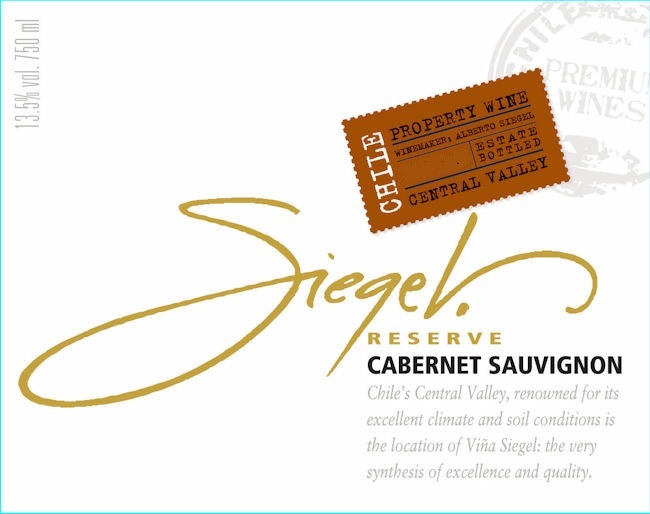 Siegel Reserve Cabernet Sauv Uber Cuvee is made from 85% Cabernet Sauvignon, 15% Syrah. Dark red color, perfumed nose with hints of vanilla. This fruity, cherry flavored wine exhibits round rich flavors that over deliver. 8 weeks of Oak aging, medium toasted barrels, 100% French Oak.